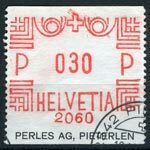 This is index page for articles about Postage stamps and philately of Switzerland (Helvetia) . Below you find excerpts on available stories. To read the full stories, please subscribe or sign in.